It is not that easy to compare Yamaha RX-485BL vs RX-483BL as they are of the same brand and are very close to each other in the product line. But there is a slight difference in options and technologies with RX-485BL being more advanced. At the same time you might still want to get RX-483BL since it has got more positive reviews, it is very popular with the customers plus it is extremely affordable. Both RX-485BL and RX-483BL have no Dolby Surround or Dolby Atmos. But they can both boast of Dolby digital plus and Dolby true HD. The sound effects are also different, RX-485BL has got a more recent technology called Virtual cinema while RX-483BL has Cinema 3D DSP, Silent Cinema DSP, Virtual Cinema Front, and Virtual Presence Speaker Technologies. 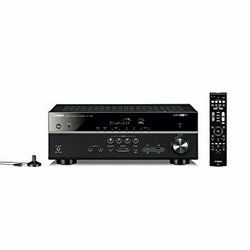 Yamaha RX-483BL vs Yamaha RX-485BL are very different when it comes to inputs, RX-485BL has got 7 AV inputs while RX-483BL has none of those. Both of them have no coaxial or optical digital outputs. Yamaha RX-485BL does not have an input for phones. 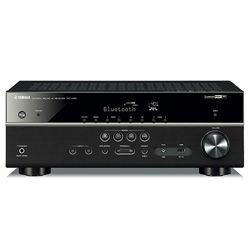 Both Yamaha RX-483BL vs RX-485BL have Bluetooth, Wi-Fi and USB input. Also, they both work with Alexa and all major streaming services. Yamaha RX-485BL vs Yamaha RX-483BL have a similar design since they come from the same manufacturer. 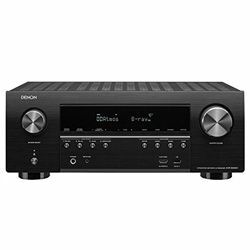 These AV receivers have a black matte chrome finish with identical buttons, black panel and stylish while fluorescent letters. They both come with a remote. The shipping weight and dimensions are also nearly identical. It is efficient and less power-consuming than older models. The setup and alignment will take you a few minutes and is very easy to carry out by yourself. 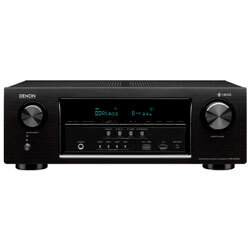 The receiver is sturdy and is of great Yamaha quality. You might have issues with the remote as some customers found it to be confusing with way too many buttons. The Bluetooth only works in but not out so you cannot run it with Bluetooth headphones for example. A really affordable family option, the regular price is $271 although you might find it to be a bit too boring and outdated. Especially if you are into technology. Custom service is very quick and professional. A lot of poor quality reports, some units can be damaged or work with drop-offs. Might stop working after a few months of regular use.